Have you always been doing the same thing repeatedly? Be ware, you might be able to monetize it but you hadn't, and that is a complete waste!!! We always do something we love to do and eventually got totally great in doing it without us noticing it, and we don't get paid for doing it. 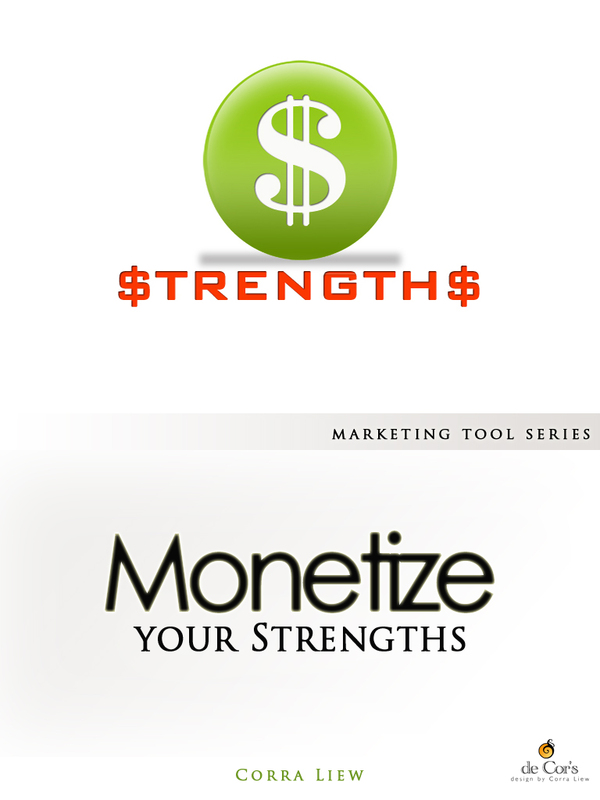 Just imagine - what if you are "aware" of your strength, and then, you "discover" a way to monetize it? Chances are you are going to continue to do it for a really long time, continue to earn money out from doing it, and eventually refining the process of doing it and turn it into a solid stream of income that would last. So now it's about the what if's. 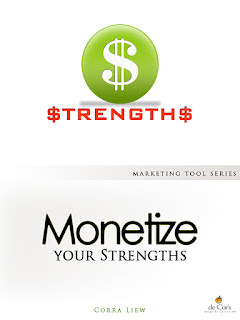 What if you get to identify your strengths and best of all, you find a way to monetize it? It isn't a rocket science - All you need is to identify your potential and strength, and then find/create a right tools/ways to monetize it! For the past year I have helped myself and several jewelry artist friends and work-colleagues to identify their strengths as well as invented ways for them to create an additional or more streams of income, I believe if the methodology I have implemented on them worked out well for them, it will work out well for you, too. Special thanks to Johnathen.L for proof-reading and refining this book, and Andy.M for inspiring and endless support! Please bear in mind that the sole purpose of this mini-booklet of mine is to share my own experience in choosing the tools and methodologies I have personally used, of which it might help you to identify your very own strengths and achieving your own goals. Your purchased item will be delivered to you in printable PDF format (so that you could print out the worksheet) in within 24 hours (usually faster) upon payment made.